Team Tyne Innovation are looking to demonstrate that the innovative spirit is alive and kicking in the North East by incorporating innovative products and services developed in the North East on its Atlantic bid. Our area has a rich heritage in both innovation and rowing, typified by the work of Harry Clasper in the mid 1800’s, which led to the design of modern day Olympic rowing boats still in use today. Back in the 1800’s, the Tyne was one of the main highway for goods arriving in the city of Newcastle upon Tyne. The wherrymen were those who rowed the boats transporting people and goods on this arterial highway and one of those was the North’s greatest ever sportsman, Harry Clasper. 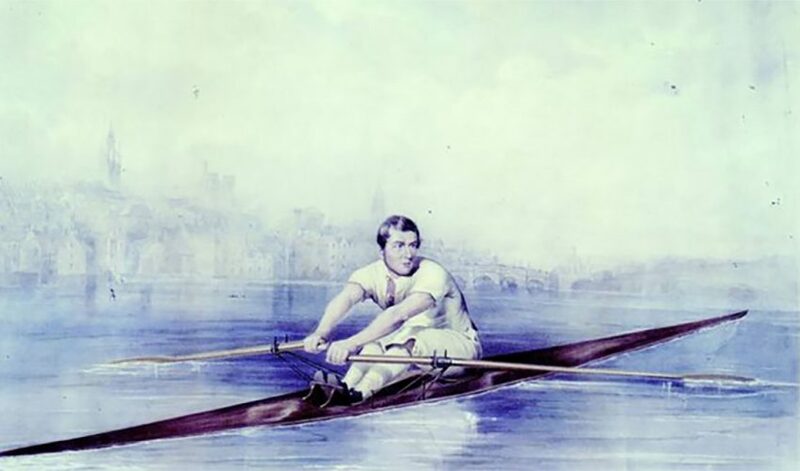 He not only rowed for a living but engaged in the sport of competitive rowing, which at the time, attracted crowds of over 100,000 people to the banks of the Tyne to see his races. Harry became a professional rower and boat builder, and as an innovator he introduced the modern racing shell with outboard rigger, as well as spoon shaped blades which are now seen in the designs of the boats used in the Olympics. With his brothers, Harry won the champion fours in London beating the Thames crews and becoming world champions. At his funeral over 130,000 people lined the procession.